2014 marks the 50th Anniversary of Freedom Summer, the campaign to end the long political disenfranchisement of African-Americans in the Deep South. Academy Award® Nominated and Sundance Grand Jury Prize Winning documentary, Freedom On My Mind, vividly chronicles the complex and compelling history of the Mississippi voter registration struggles of 1961 to 1964: the interracial nature of the campaign, the tensions and conflicts, the fears and hopes. It is the story of youthful idealism and shared vision, of a generation who believed in and fought for the principles of democracy. Freedom On My Mind provides a sweeping panorama of a turbulent time: a time that tested America's purpose and its commitment to democracy. The legacy of that time, the achievements and failures, remain with us today. 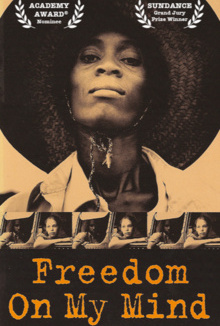 Freedom On My Mind will enable viewers of all backgrounds to better understand and appreciate this American legacy.